In the absence of tissues expressing high quantities of homogenous native receptors, much of the work leading up to the crystallization of other GPCRs has focused on their expression. The expression of membrane proteins is notoriously difficult and has been one of the major bottlenecks in the structural biology of GPCRs, which typically require milligram quantities of active protein. A number of expression systems have been developed for the expression of GPCRs, each with their own particular advantages and disadvantages. To date, the majority of the work has focused on four main expres sion systems: bacterial (Escherichia coli), yeasts (Saccharomyces cerevisiae, Schizosaccharomyces pombe, Pichia pastoris), insect cells (Spodoptera frugi-perda Sf9, Sf21, Trichoplusia ni Hi5, and Drosophila Schneider S2), and mammalian cells (Chinese hamster ovary [CHO], HEK, COS - 1, etc.). However, other systems have been investigated; these include cell-free (CF) expression systems and the more unusual use of whole organisms (Drosophila melano-gaster, Xenopus laevis, and silkworm). Bacterial Expression While a number of systems are available for heterologous protein production, E. coli remains one of the most attractive because of its ease of use with respect to both the cloning and the scale up of protein expression. Even as E. coli has served as a great tool in the study of soluble cytosolic proteins, the ability to translate this to more complex membrane proteins has been limited for a number of reasons. E. coli is unable to perform the majority of PTMs (glycosylation, phosphorylation, and fatty acid acylation), some of which have been shown to be critical for functional expression of GPCRs  . However, this is not a universal observation, and for some GPCRs, PTMs have been shown to have little or no effect on ligand binding  or protein expression . Furthermore, the reductive environment of the bacterial periplasm can affect the correct folding of receptors, where formation of disulfide bridges is required for an active conformation. The lipidic composition of bacterial membranes is very different from that of eukaryotic cells, and this can sometimes affect receptor stability and binding properties [55, 56]. The composition of bacterial inner membranes are richer in phosphatidylethanolamine (PE) and phosphatidylglycerol (PG) lipids  rather than the phosphatidylcholine (PC) found in eukaryotic cells. In addition, cholesterol is entirely absent from bacteria, while it forms 40% of the plasma membrane in eukaryotic cells. This may represent a limiting factor in recovering functional GPCRs when expressed in a bacteria-based heterolo-gous system. For the correct insertion and subsequent folding of transmembrane proteins to occur upon translation, they have to interact with the cells - endogenous translocation machinery in order to be inserted into the cell membrane. When GPCRs are expressed in E. coli, the addition of an N-terminal signal sequence (MalE, OmpA) can help to successfully target protein to the inner membrane. However, high levels of expression can overwhelm the bacterial translocation pathway and subsequently effect cell viability and functional protein expression levels. The folding of heterologous membrane proteins may also be affected by the lack of appropriate chaperones, although the degree of influence that they play is unclear, with conflicting reports [58-60]. cDNA—with codons optimized for E. coli—this resulted in the expression of an insoluble protein aggregate  . In the case of soluble expression of the rat neurotensin receptor (NTR), the efficiency of transcription and translation (codon usage) did not seem critical, and it was receptor insertion into the cytoplasmic membrane that seemed to be rate limiting . There are two possible strategies that may be used for the expression of GPCRs in a bacterial expression system: (a) expression of functional, membrane-inserted receptors, and (b) expression of incorrectly folded, aggregated protein to which a refolding strategy is applied to obtain a functionally active receptor. Initial successes in using bacterial expression to achieve the soluble expression of functionally active GPCR involved the use of fusion proteins. The first successful use of this approach was with the expression of the p2AR as an N-terminal fusion with P-galactosidase, resulting in expression levels of 0.4pmol/mg  . Subsequently, a number of attempts to improve upon this have been performed by looking at the effect of the promoter and fusion partners. Some of the pioneering work in this field by Grisshammer and coworkers led to the development of systems where the NTR receptor can be expressed at levels of 15 pmol/mg [62, 64] and the human adenosine A 2a receptor at levels approaching 34pmol/mg -65] . This was achieved by optimizing the expression construct to include a maltose binding protein (MBP) fusion partner with an N- t erminal signal peptide and the replacement of the tac promoter with a weaker lac promoter . The exact role of the fusion partner is unclear; however, the MBP could help drive the correct insertion of the fused GPCR into the membrane through its translocation to the periplasm  . Further modification to improve upon the MBP fusion system has involved the generation of a triple- protein fusion construct (MBP-GPCR-thioredoxin [Trx]) that appears to further stabilize the receptor, and improve expression and purification [66-68]. Other factors influencing the expression levels are the E. coli strains used and the growth temperature [62, 67, 69, 70]. While, in general, the bacterial expression of GPCRs results in relatively low levels of soluble protein, relatively high levels of insoluble protein expression have been observed. The overexpression of heterologous proteins can lead to the formation of inclusion bodies—high-density bodies of almost pure but misfolded protein, which are resistant to proteolysis and easy to isolate. Expression of GPCRs in inclusion bodies reduces the risk of toxicity to the cell during expression and has the potential to produce high levels of protein  . While a number of advances have been made in the development of refolding technologies for GPCRs, such as the use of amphipols [71, 72] . our ability to capitalize on the high levels of protein expressed has been limited. Although a few examples of successful refolding from inclusion bodies exist, including opioid receptors  . bacteriorhodopsin  . 5HT. , and BLT1 , the ability to successfully refold GPCRs has been limited. Moreover, the generation of inclusion bodies is poorly understood; despite the assumption that the expression of large hydrophobic proteins should readily form inclusion bodies, this is not always the case. A number of techniques have been developed to facilitate GPCR expression in inclusion bodies, including the use of strong promoters and high-copy-number plasmids [69, 70] (pGEX and pET types), codon optimization , fusions to ketosteriod isomerase  (which is commonly used to direct the formation of inclusion bodies), and glutathi-one -S-transferase  (known to drastically affect protein expression levels), yet there is no general strategy for the systematic production of GPCRs from inclusion bodies. Expression studies have been able to improve the levels of expression of GPCRs in inclusion bodies; however, this is only the first step in the purification pathway, and further steps involving protein solubilization, purification, and renaturation are required. The efficiency of refolding depends on the competition between protein refolding and aggregation. 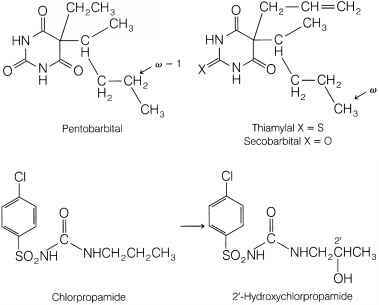 The BLT- and 5HT- receptors, for example, were solubilized with harsh chaotropic agents and detergents (urea and sodium dodecyl sulfate [SDS]). The receptors were then refolded by solvent exchange using a solid Ni-NTA matrix, resulting in protein expression levels of ~0.5 mg/L [61, 75]. One of the most crucial factors in obtaining active, refolded protein was the composition of detergent/lipid micelles in which the GPCR was reconstituted. 5HT4 , for example, was reconstituted in mixed dimyris-toylphosphatidylcholine (DMPC)/3-[(3-cholamidopropyl)dimethylammonio]-1-propanesulfonate (CHAPS) micelles in the presence of cholesterol . As our understanding of the structural properties of membrane proteins and their interactions with their lipid environment improves, better refolding techniques will surely follow. While E. coli has been successfully used to express a wide range of GPCRs from the three major classes -70] . there are limitations. In general, smaller proteins tend to lend themselves to higher, more soluble levels of expression, especially in a bacterial system. This observation has been supported by a study that compared the expression of 100 GPCRs in E. coli. Data from this study showed that proteins of <54 kD can be more easily expressed than larger ones . Other prokaryotic expression systems, which have been used for the expression of GPCRs, include Haloferax volcanii [ 77]; however, this system suffers from proteolysis. Halobacterium salinarum -78] has been used as it produces high levels of the GPCR ortholog bacteriorhodopsin . Although the initial studies with H. salinarum resulted in relatively low levels of expression , improvements to the levels of protein expression resulted in crystals of a fusion protein of the p2AR, which diffracted at a low resolution -78] . Although, Lactococcus lactis has been extensively used for the expression of a number of membrane proteins  . no GPCRs have been reported to be successfully expressed using this system. Although bacterial expression has been used to produce a number of GPCRs with varying degrees of success, new bacterial expression systems better able to cope with membrane proteins have been keenly sought. The photosynthetic bacterium Rhodobacter sphaer-oides has been used for the production of human GPCRs. The advantage of utilizing R. sphaeroides is that the cell has a much larger membrane surface area per cell compared to other expression hosts. A system whereby overexpression of recombinant receptors placed under the control of the moderately strong and highly regulated superoperonic photosynthetic promoter pufQ has been developed . Using this host, the human angiotensin AT1a receptor has been expressed at levels of up to 12 pmol/mg. Although a relatively low level of expression, this system offers a practical alternative to functionally express GPCRs, using a system that can be scaled up . Optimizing conditions for the overexpression and purification of membrane proteins is a laborious and time-consuming process. With the large number of variables affecting expression levels of GPCRs, methods need to be developed to systematically investigate each variable. This process can be accelerated using membrane protein-GFP fusions , which allow direct monitoring and visualization of membrane proteins at any stage during overexpression, solu-bilization, and purification . With the short time required for plasmid construction and expression, an E. coli expression platform provides the ideal host for such a screen. Using GFP-GPCR fusion expression, optimization of both the human central cannabinoid receptor (CB1)  and the bradykinin receptor (BK2)  has been rapidly achieved. Yeast Expression Yeast systems contain a number of desirable attributes required for the high level expression of GPCRs needed for structural studies. Like E. coli, yeasts grow quickly, and are easy and inexpensive to grow. They can be cultured to high cell densities, and scale up can be achieved using fermentation technology . Furthermore, yeast expression systems allow for isotopic labeling and nonnatural amino acid incorporation —both important factors when considering an expression system for structural studies. While yeast systems possess a number of the same benefits as do bacterial systems, they also have several advantages. Yeast has compartmentalized organelles, allowing for more natural protein expression and folding, with subsequent insertion into the plasma membrane. Furthermore, unlike E. coli, they can perform the majority of PTMs, although glycosylation is substantially different to that observed in mammalian cells , and there are examples of GPCRs that are not glycosylated in yeast . This phenomenon may constitute a problem for GPCRs that require correct glycosylation to obtain correctly folded protein and may therefore represent a limitation for yeast-based expression of GPCRs. However, the introduction of yeast strains engineered to provide a mammalian glycosylation profile may represent a solution to this problem  . A number of different strains of yeast have been used for the overexpression of GPCRs, including S. cerevisiae , P. pastoris , and S. pombe . The process has been further simplified with the availability of a number of commercial expression systems, such as the P. pastoris system of Invitrogen (Carlsbad, CA). There are a number of drawbacks associated with yeast that can prevent the efficient expression and purification of GPCRs. Like E. coli, the yeast lipidic environment, which is crucial for the efficient functional expression of GPCRs , is different from that of mammalian cells. Yeasts have much lower cholesterol and a higher ergosterol content , which can dramatically affect the ligand binding activity of mammalian GPCRs. Furthermore, loss of receptor ligand binding activity is often seen during the solubilization process when GPCRs are removed from the native membrane environment and reconstituted in a detergent micelle [ 92] . In some cases, the loss in activity can be recovered by cosolubilization with mammalian lipids, which have been shown to specifically bind to GPCRs  and stabilize the active confirmation of the receptor [93, 94]. Other problems that exist relate to the inherent mechanical strength of the yeast cell wall, making cell lysis challenging and often requiring harsher cell lysis processes to be used. Proteolysis is another problem of yeast expression systems that, while not limited to yeasts, can present a problem for the efficient expression and purification of GPCRs in yeast. However, protease-deficient strains can minimize such problems  . In contrast to bacterial expression, where the upper limit of expression is <54 kD, no such limits have been observed with respect to size and expressibility of GPCRs in yeast. Class C receptors (95-102kD) have been successfully expressed in P. pastoris . Furthermore, of the 100 GPCRs studied, 94% were expressed in yeast compared with only 48% that could be expressed in E. coli . Insect Expression After E. coli and yeast, insect cell expression systems have provided the greatest number of structures, with more than 1200 structures in the RCSB protein database (PDB). To date, insect cell expression has provided the gold standard expression system for the structural determination of GPCRs. The recent structural determination of the human p2AR and A2a adenosine receptors [2, 3, 5] was achieved using S. frugiperda Sf9 cells, while the structural determination of the turkey p1AR  was achieved using T. ni Hi5 cells. The relative success of insect cell expression in the structural biology of GPCRs relates to their ability to generate multimilligram quantities of high-quality protein. A wide range of insect cells are commercially available, including S. frugiperda Sf9, Sf21, Hi5, and D. Schneider S2 cells, allowing screening of different cells to improve expression levels. As Hi5 cells have a high capacity for the expression of membrane proteins, they may have the potential to be useful for the expression of GPCRs . Insect cells have been used to express a variety of different GPCRs  with very respectable yields; for example, the turkey p1AR has been expressed at levels of 7mg/L in Hi5 cells, while expression in Sf9 cells yielded 1.25 mg/L [ 96] . The eukaryotic, baculo virus . based expression system has been used for over 20 years and relies on the viral transfection of insect cells to achieve protein production. Subsequently, a number of technological advances have resulted in the establishment of commercially available systems, which are more efficient and user friendly than the original system. As with yeast expression, insect cell expression provides a platform in which most PTMs required for functional protein can be achieved. In some cases, insect cell expression results in heterogeneous protein glycosylation; for example, when the D2 dopamine receptor was expressed in Sf9 cells, large amounts of unglycosylated receptor were produced [ 97] . Expression of the human formyl peptide receptor in insect cells also resulted in the production of immature and incompletely glycosylated forms of the receptor . Therefore, there has been considerable interest in the modification of insect cells, such as the Mimic™ (Invitrogen) Sf9 insect cells, which have a more homogeneous human-.ike glycosylation machinery  . While an insect cell expression system provides a more native intracellular environment compared with E. coli and yeast, differences do exist in their lipidic membrane environments. Insect cells are typically grown at 27°C, and the types of lipid required to maintain membrane fluidity at this temperature are different to that of a native mammalian cell membrane. Insect cell membranes are very low in cholesterol and have no phosphatidyl serine in their plasma membranes. In addition, they have a comparatively high phosphatidyl inositol content, and following infection, an enrichment in phosphatidylcholine is observed . In GPCRs, an altered lipid environment can lead to modifications in ligand binding, as was observed for the oxytocin receptor in which heterogeneous expression of low-affinity and high-affinity receptors was noted. The addition of cholesterol to the growth media resulted in a more homogeneous receptor population with a shift toward high-affinity ligand binding . Insect cells are essentially free of endogenous GPCRs , which provide a low background environment for ligand binding assays. However, Sf9 cells contain endogenous G proteins that can couple to heterologously expressed GPCRs, allowing both agonists and antagonists to be assayed. While insect cell expression appears to contain a number of the desirable attributes required in an expression system for use in structural studies of GPCRs, a number of drawbacks exist. These drawbacks prevent insect cells from being the universal system required for large-scale structural studies of GPCRs. Even with recent improvements to the baculovirus expression system, it can take up to 1 month to generate large quantities of recombinant high-titer baculovirus. Furthermore, baculovirus-induced expression is normally a transient process requiring the constant generation of large quantities of recombinant baculovirus. One of the major benefits of the insect cell expression system is the ability to scale up protein production using relatively simple culture techniques in a biosafety level 1 laboratory environment . Insect cells are semiadherent, allowing growth under attached conditions (rollers, microcarriers) or in suspension. However, culture media are more complex and more expensive than the media used in the culture of bacteria and yeast. Mammalian Expression Mammalian cells have been used to express a wide range of GPCRs ' different classes  . Mammalian cells have all the cellular machinery required to correctly translate, fold, modify, and insert the protein into the cell membrane. Obtaining complex incomplete or heterogeneous glycosylation can, however, be a problem when receptors are overex-pressed at high levels . Heterologous protein production can be achieved through transient or stable expression, and a wide variety of cell lines are available (e.g., CHO, HEK, COS-1, etc.). Transient expression of GPCRs has been widely used for a number of years, although its use as a tool in structural biology has been limited due to cost and scalability. Transiently transfected cells usually express protein through the cytomegalovirus (CMV) promoter after 48-72 h post-transfection, with a steady decrease thereafter. This system provides a quick and relatively easy method of screening protein expression and allows for rapid site-directed mutagenesis. While lipid-based transfection methods have proved impractical for large-scale protein expression, other methods, such as the use of recombinant virus (e.g., adenovirus)  or Semliki Forest virus (SFV) , have shown promise. To date, much of the work carried out on viral transfections has centered around the use of SFV, which has a very high rate of success in the expression of GPCRs -70] . A limitation of the SFV system is the requirement of virus propagation, isolation, and determination of virus titer. In particular, virus titer is an important factor in relation to expression levels. Stably transected mammalian cell systems offer a solution to some of the problems suffered by using transiently transfected cells. Stable cell lines provide a constant source of recombinant protein, although their generation can be particularly time consuming. Like the transient transfection cell system, the gene of interest is placed under the control of a strong promoter, such as the CMV promoter. The use of inducible promoters may be particularly advantageous with respect to membrane proteins as constitutive expression can lead to cell toxicity  - In order to obtain a stable cell line, the expression construct is stably integrated into the host's cell genome; this typically requires the use of a selective marker (e.g., antibiotic resistance) as integration events are rare. Advances in generating stable cell lines have made this process simpler, for example, the lentivirus  and the Flp-In T-REx™ expression system (Invitrogen), which allows the generation of stable mammalian cell lines exhibiting tetracycline-inducible expression by placing a tetracycline-i nducible promoter into the genome via Flp recombinase-medi-ated DNA recombination at the FLP recombinase target (FRT) site . The use of GFP coupled with fluorescence-activated cell sorting (FACS) has allowed the rapid selection of high protein expressers within mixed cell populations. The use of internal ribosome entry site (IRES)-GFP technology has improved upon regular GFP fusion selection by placing an IRES downstream of the promoter and the coding sequence for the "gene of interest," followed by the coding sequence for GFP. This allows for a single bicistronic messenger RNA encoding both genes to be produced. The two separate proteins are then translated from the same message, and their expression levels are thereby coupled. The use of IRES-GFP provides a monitor for the levels of target protein expression. This has been successfully used to improve the expression levels of rat 5HT-c , whereby levels of 140-160 pmol/mg of membrane protein have been achieved . A number of issues have prevented the widespread use of mammalian cell culture as a tool for GPCR structural biology, including cost and scalability. Complex media, requiring the addition of expensive antibiotics, needed to maintain the expression of selective markers have been a major stumbling block. Problems also exist in scaling up cell production. While mammalian cells, such as HEK293, are able to grow in suspension—making them amenable to fermentation—overall yields can be poor as cells struggle to survive in suspension cultures . Anchorage-dependent cells can be grown in cell factories or on microcarrier beads, although issues relating to cost and practicality can make obtaining large quantities of cells difficult. To date, few examples exist of GPCRs that have been expressed and purified from mammalian cell cultures to quantities required for structural studies. One exceptional example is opsin, which has been expressed and purified using a tetracycline--nducible stable HEK293S cell line, resulting in levels of protein expression up to 10mg/L . density lipoprotein partials), which provides a more natural membrane environment for the incorporation GPCRs . The high cost, and, in turn, scalability, of CF expression is a major problem; commercially available CF expression systems can be extremely expensive  such that large-scale expression is not cost-effective when compared with other, more established, expression systems. Other Expression Systems Despite the majority of the work to date having focused on the main expression systems previously outlined, a number of other strategies for GPCR expression have been investigated. One such strategy has been the use of whole organisms to express GPCRs. A wide range of organisms have been used to express GPCRs, including Xenopus oocytes, which were used to express the pituitary thyrotropin-releasing hormone receptor [ 123] . The requirement of mRNA microinjection has likely precluded this approach from large- s cale production. The D. melanogaster metabotropic glutamate receptor has been expressed in Drosophila photore-ceptor cells at levels of 170 |g/g of fly heads (equivalent to approximately 3000 flies)  . a level that is at least threefold higher than those achieved with conventional baculovirus systems . However, the task of scaling up is significantly easier for insect cells than for whole flies. More recently, transgenic silkworms have been used to express the human | - opioid receptor to levels of 150-250 ng per silkworm, comparable to the levels of protein obtained using Sf9 cells . Transgenic animals have also been used as a method to express GPCRs. Adenovirus-mediated expression of the chemokine receptor CXCR1 in transgenic mice yielded approximately 1 mg of homogenous rabbit CXCR1 from 20 mice livers—an amount which would normally require 5L of cell culture media  . While whole organism expression has been successfully employed to express GPCRs, the ability to scale up production remains a problem.